 Educa provides a number of standard and widely used curricula and teaching philosophies for you to link to your stories as evidence. These are available for anyone to use, but you can also edit these to create a custom-made version that belongs only to your site. Follow the steps below to learn how to do set this up. 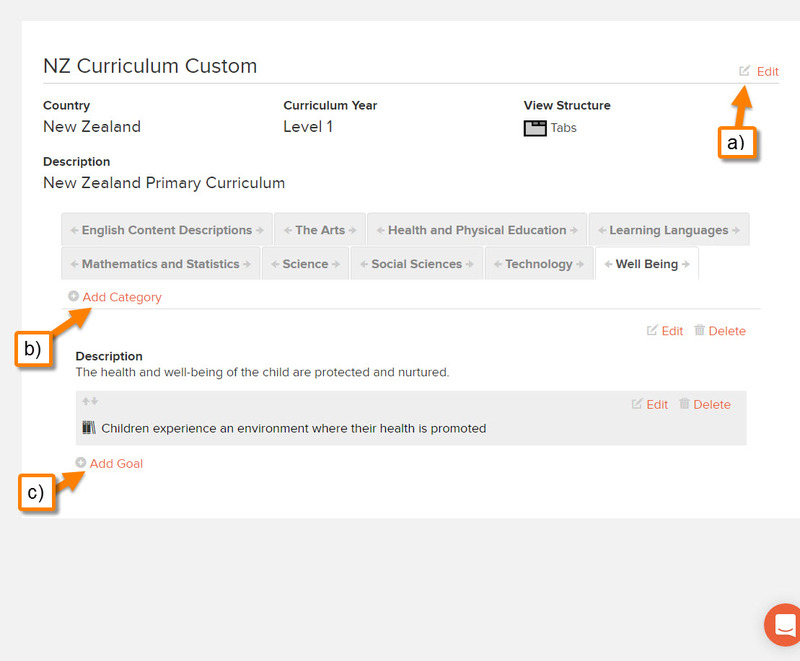 This will open up a popup window where you can confirm some details such as the name you'd like to give your new custom curriculum. 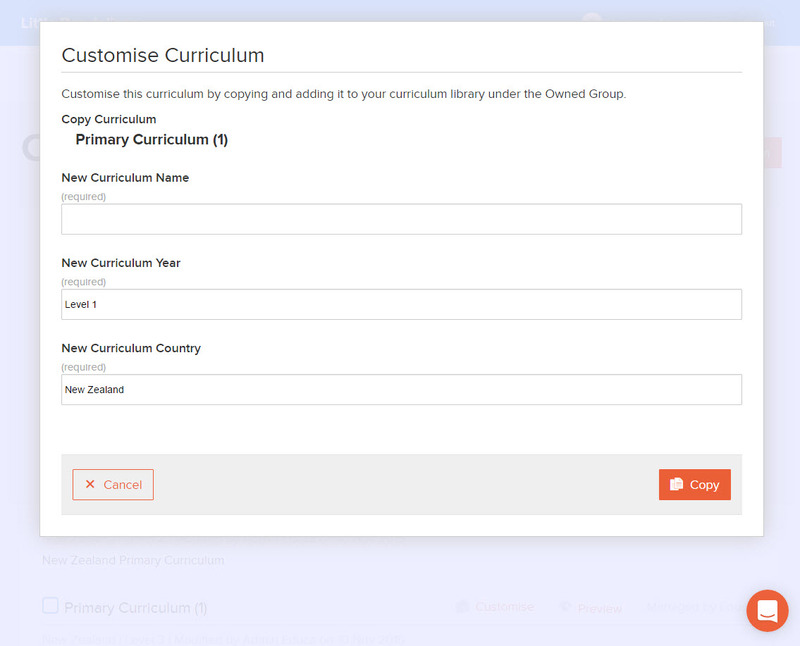 6: Once you have clicked "Customise/Customize" you will be able to find your new Curriculum under the Owned category at the top of your curriculum. This is your own custom version now, so you have full control over it! 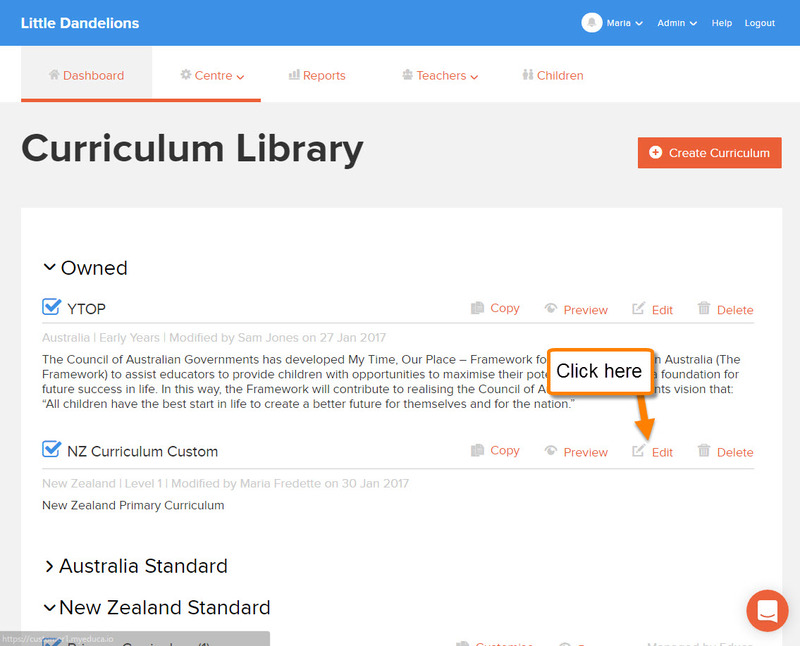 You can now change your curriculum by clicking the "Edit" link beside its name. Note: This version will only be available on your site, however you can Share the Curriculum to other sites you are linked to. 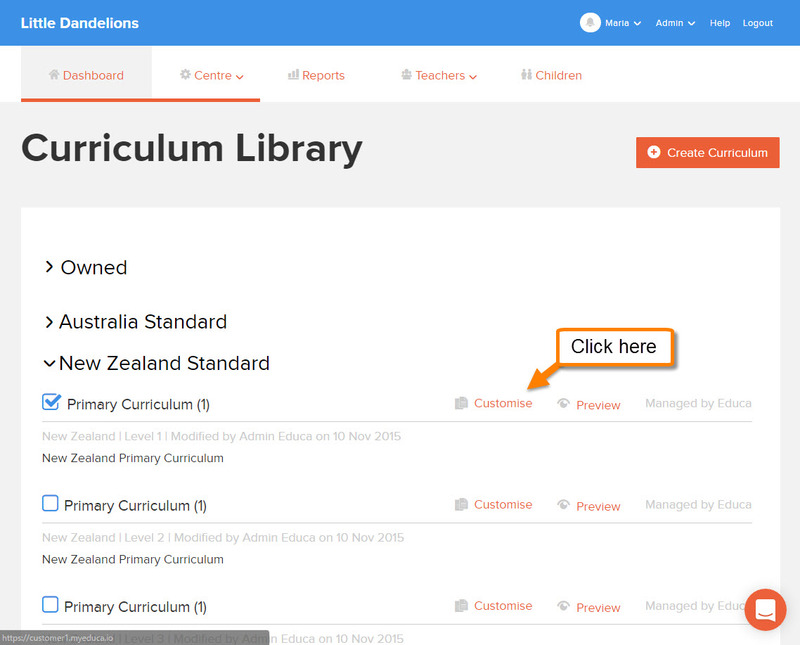 7: This will bring you to the Manage Curriculum page for your custom curriculum. The following lettered instructions will show you how to edit your curriculum. b) Click "+ Add Category" to create a new category, or list, of goals to choose from. c) Click "+ Add Goal" to add a new goal to the category you're in. In the example below we'll be adding to the Well Being category.